In the last half of the 19th century Britain was the undeniable super power on Earth. Queen Victoria's lands and colonies spanned the globe. 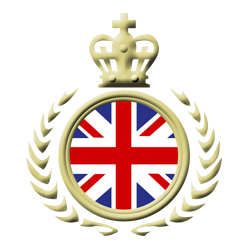 Britain's military strength ruled the waves and her cultural influence touched every other nation on Earth. This was just the beginning of Britain's illustrious future. Due to superior military technology Britain was able to emerge victorious from almost all of the conflicts it came into. The Crimean War was won due to the Introduction of ballistic computational machines used in conjunction with Britain's newly developed breach loading artillery as well as the introduction of the Maxim machine-gun and semiautomatic rifles. In the Great War Britain instituted the use of the landships as well as land Ironclads and Æronef Ærial Gunboats using Cavorite Shutter panels. The navy too had developed hyper fuels for their new turbine steam engines, which allowed the introduction of mighty dreadnaughts. These advances revolutionized warfare and gave Britain a powerful military influence throughout Europe and abroad. The United Kingdom as it was known back then started to increase its' dominion through colonization, conquest and confederation. British confederation started when smaller nations requested admission to the common wealth. These nations knew they would become backwaters if they could not participate in the British economy. Later larger nations petitioned and were admitted under the provisions of conformity to semi autonomous British rule. Conquest and incorporation of nations and protectorates increased at a steady rate. In 1881 French nationals attempted to assassinate Queen Victoria. Britain retaliated with the all out invasion of France. This military endeavor was completed in a fortnight and under British rule even the French could rise to some level of distinction. In 1889 Earth endured the unprovoked invasion of the Lunar Selenites. The Selenites had been living under the surface of the moon for countless years but what provoked them to attack at that time has never been revealed. Britain was of course instrumental in the immediate repulsion of the invaders in Australia and Europe and provided the lion's share of military might on the battlefields of the American, Asian and African continents. Britain was quick to adapt captured Selenite technology and combine it with their own to create a unique and lethal mix. By 1893 all the invading Selenites had been defeated or captured but England was not through with their lunar nemesis. In true British fashion, the forces of the United Kingdom launched a counter invasion of the Moon. The lunar campaign of 1893 required supporting large numbers of British troops in a hostile, alien environment on a remote island in space and the resources it demanded were massive. England could only afford this type of expedition because of its' control of the commonwealth and it's research into captured Selenite technology. The Selenites surrendered in 1898 and Prince Edmund added the Lunar territory to the British Empire. As a matter of course Britain gained exclusive rights to all the captured Selenite technology and also gained an enormous Lunar workforce of Selenite prisoners. Britain's new found sciences revolutionized industry, medicine, transportation, communication and further established Britain's position as the predominate power on Earth. All but some very nationalistic and independent counties had joined the commonwealth by the late 1920s. Other commonwealth countries petitioned for even closer ties to England adopting British government and accepting the authority of the monarchy. It wasn't long before British scientists and Engineers set their sights on the other planets in the solar system. 1899 saw the first expedition to Venus. Powered by simple solar boilers powering Æther propellers these first interplanetary teamers were slow and dangerous. It took 13 months to make it to Venus from Earth. The first expedition did not return and neither did the second but the when all hope was nearly lost an independent interplanetary expedition returned with members of the first two missions. Men on Earth learned of the primeval jungles filled with prehistoric saurians hidden under the dense canopy of clouds. The first expedition to return from Mars told of a whole civilization of aliens where the last surviving ancestors of a once highly advanced civilization. With what man had learned occupying the moon it was possible to found colonies on several planets and moons in the solar system. During this time of exploration there were certain colonies funded by the British government designed to export the last remaining non-British nationalist factions off planet. Many of these expeditions were never heard from again. Others would later be rediscovered. In 1962 the Queen declared Earth fully British. At this time the word British was synonymous with civilized and the word Britain was interchangeable with the word Earth.